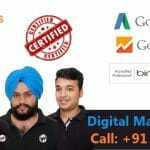 How to do SEO for Joomla website – Do you own a Joomla based website and want best tips to do SEO for joomla websites? 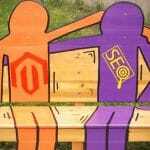 Are you looking for the best methods to do SEO for the Joomla website? If the answer is yes, then this is the right place to be in. Joomla is one of the best CMS platforms that make a website look really attractive and efficient. If you do not know much about doing search engine optimization for your website then we have come up with the best ways. Search engine optimization services are becoming important with the each passing day. Every other small and large businesses use it on the daily basis to grow their website more. With the professional SEO services, you can get extremely high ranking and the bulk of traffic pointed towards your website. A Joomla is basically a CMS i.e. Content management system platform that allows you to build exceptionally brilliant websites and web applications. 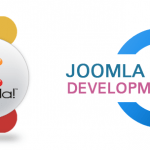 Joomla is easy to use and extremely functional with all the facilities. These qualities have made this platform an easy choice for any website developer. One of the best reasons to use Joomla is that it is an open source solution that means it is available for everyone. SEO done wrongly can affect your website in more than one way. You need to hire the professional SEO service providers to get the best results. If you do not have much idea about the SEO part then here we have brought you the best ways to do SEO for Joomla websites. For the Joomla websites, it is very important to change the URL to get the best results. You have to set the “Search Engine Friendly URLs” and “Use URL Rewriting” options to “Yes”. This means enabling the SEF URLs and URL rewriting. Also, after the URL change do not forget to rename htaccess.txt to .htaccess. The size and dimensions of the images are very important to change. If you are using the bigger size and higher dimensions then it will directly affect the speed of the website. Therefore, it is not only mandatory for the Joomla website for every website. This step is extremely necessary if you want a greater speed for your website. The Meta description is still extremely important for the websites to rank on the search engines. To edit the meta data for your Joomla website normally, you need to navigate to each menu item/article and edit the descriptions and page titles manually. With the completion of this step, you will notice a great change in the rankings and traffic for your website. 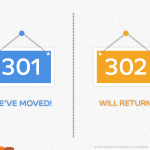 Unlike the WordPress websites, the Joomla websites will not redirect your web pages to the right location. Therefore, while doing the SEO for the Joomla website it is important to use the redirects on your website to let the search engines and the customers directed towards your website. You can speed up the speed of your website with following the several steps. Image and video editing are one of them. Also, make sure that your website is also speeding up and is responsive for the mobile users. The reason behind this is that people do not stay even for seconds if the site is slow. So if you were struggling to find the ways to do SEO for your Joomla website then above mentioned tips are very helpful. 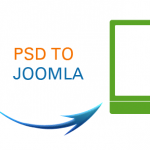 Therefore, go ahead and now implement these methods to enhance the overall performance of the Joomla website.